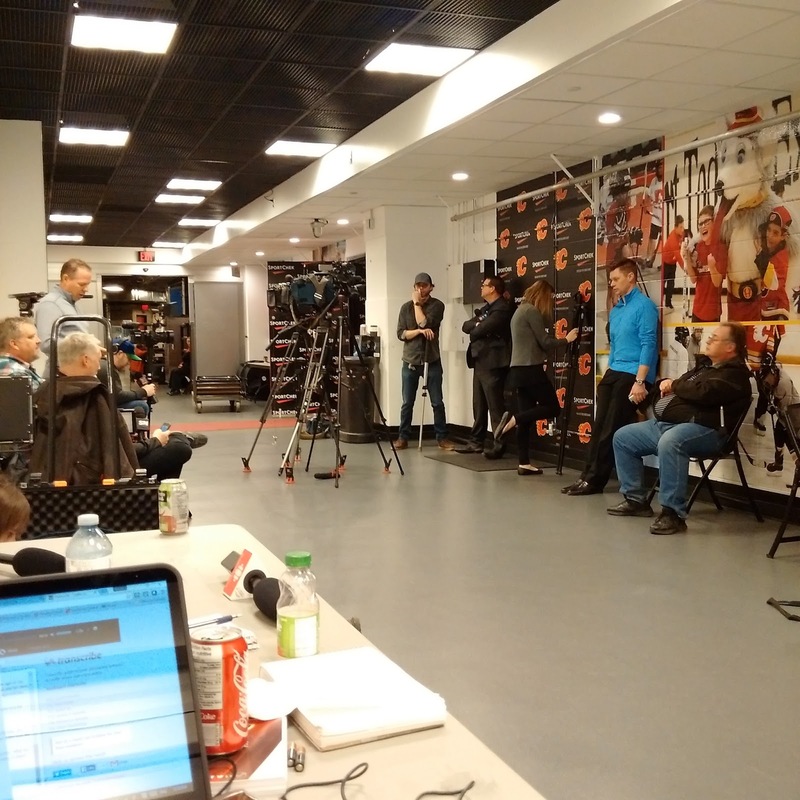 Calgary Flames players put in their final day at the office on Monday and with that came one final media availability for all of them. Playing the role of Jiri Hudler, renowned for his ability to slip out the side door on this day, was Dennis Wideman, who we were told flew out of town last week. No disappointment on that front. On a day that involves a lot of waiting around and I mean A LOT. 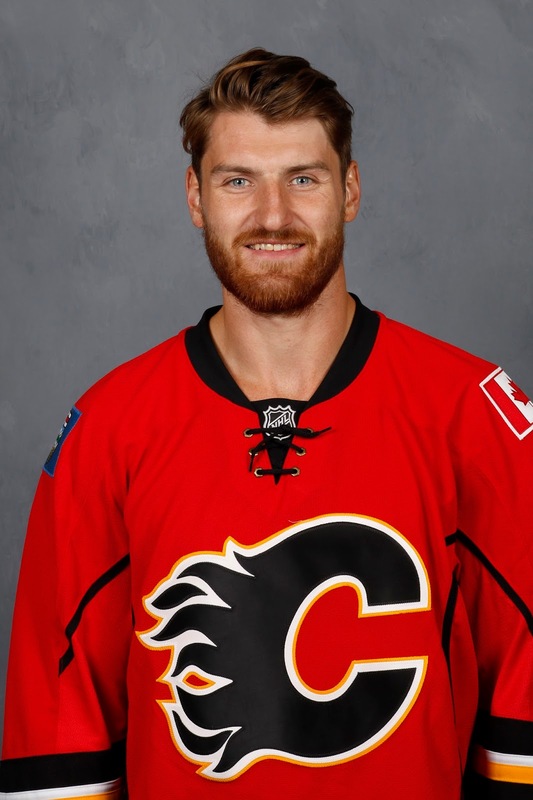 Not having to spend time waiting for Wideman was a welcome reprieve considering his already well-documented eventful year in which we seemed to do nothing but wait for news, updates, rulings on the Flames defenceman. The wait for Sean Monahan was extra long. 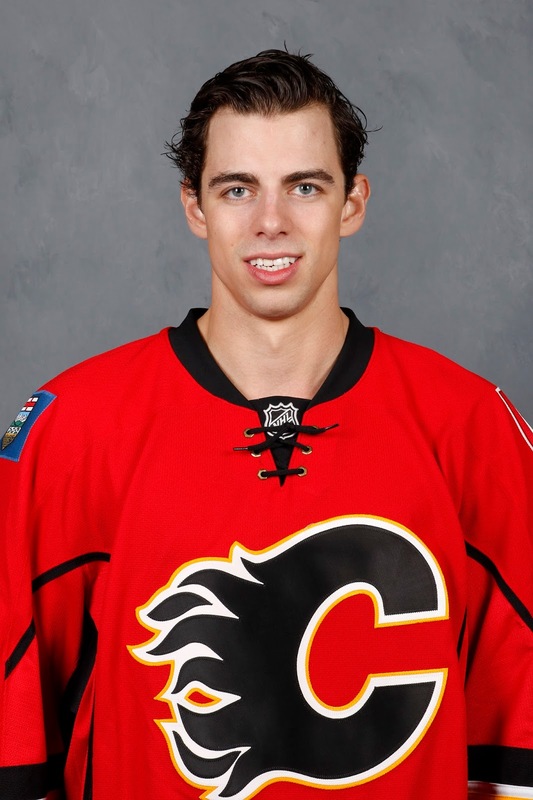 The other guy that I never saw pass through was Deryk Engelland. While one might suggest that maybe he wasn't in high demand, I assure you all players are in high demand on this day. You never know who's going to say what so it's scrums for all, many of us banking quotes for stories we can unveil later in the summer. Although the Jyrki Jokipakka scrum was a little smaller and his season rundown was a little bit shorter (OK, a lot shorter) than it was for Johnny Gaudreau. My primary order of business on this day was filing this wrap-up story for The Canadian Press so that's the first place to start. Comments from Gaudreau on contract negotiations and other primary storylines are addressed in there. However, there's always way, way, way more quotes than could ever be included in that article so in this Director's Cut, if you will, is a random assortment of other takes from the players as well as coach Bob Hartley, who talked later in the afternoon and general manager Brad Treliving, who took to the podium to wrap up the hectic day. Additionally, some more in-depth pieces are still to come as we get into the summer. "Our start played a role. We can go through the list right now. You can't be 30th in goals against and that's not just hanging out our goaltending, that's a group stat. No question do we need more saves, sure. But all of us wear that. You can't be 30th in special teams for a large majority of the season. You factor those things in, you're going to have a difficult time." The team's bad start was also talked about by everyone including the GM. "You come in, you lose the home opener against Vancouver and then you feel like you're going into game two as a must-win. You have 81 more, we can't get into this big of a hole." A hole is exactly what they dug, going 2-8-1 to start the year. "We finished 10 points out of a playoff spot and where we finished in some of the categories we just talked about. Where would we be if we were in the middle of the pack or above? So goaltending is obviously a priority for us." "At the start of the season, there were a couple of games where we could have won. We had the chance to win it, but we didn't it. It's a snowball effect. You lose one like that and then you lose another like that and then guys start to grip the stick a little tighter," he said. "It's the same as when we went on that eight-game streak the year before. It's tough to get out of, it definitely hurt us at the end of the year and you look at what it would have taken to get into the playoffs this year. It could have made up for at the start of the year." "I don't know if I've earned a long-term (contract) yet, but I'd love to be back here. It's a great city. They're great fans. It's a great organization," said Ortio. "I think it's a good fit for me." The 24-year-old doesn't expect to be handed the No. 1 job but he feels he's earned himself a shot at it. "That's all I'm looking for. Give me a chance to grab that spot and if I'm not up to the task then do something but all I'm looking for is that opportunity and I'll try to make the best of it." "I think you can get fooled a little bit. We had some wins down the stretch. Those are dangerous evaluation games when there's zero on the line." Expect that argument to be part of the GM's defence should Colborne's contract negotiations reach an arbitrator. Nine of Colborne's 19 goals came during the Flames 9-6-3 finish, which was after Calgary had been effectively eliminated from playoff contention. 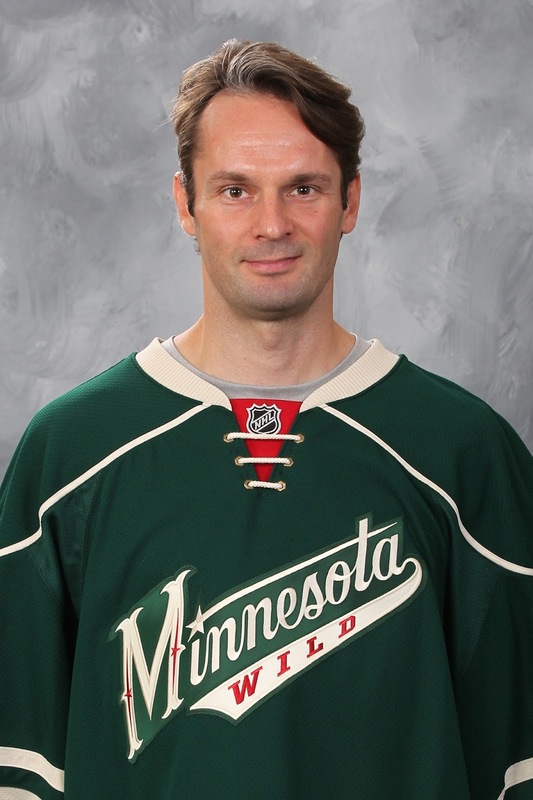 It also makes you wonder how he evaluates the wins chalked by Ortio, another RFA. Colborne's face lit up when asked if he sees himself returning next season. "Oh yeah. I've said it before but I'd like to spend the next 10-12 years here. I'd love to be part of the group that brings a Stanley Cup back here. That's obviously the end goal for us. I believe in our core group. I believe in Gio being our leader. He's the backbone of this team. He's a guy that can put a team on his back and carry us and look at the young nucleus that we have. It's an exciting team to be a part of and hopefully I can be a big part of it." Before that happens, however, he'll need a new contract as he is an RFA after completing a two-year/$2.55 million deal. It's not going to be an easy negotiation considering the money he's probably owed based on his production. How much can Calgary realistically afford to pay him given big money owed to Sean Monahan and Johnny Gaudreau. Also, can he repeat those offensive numbers. "Hopefully not that hard," Colborne said in response to how difficult he thought it would be to get a deal done. "I know (Treliving) has a very good relationship with my agent. Obviously I'd like to get it done sooner rather than later but I also understand there are a couple other guys that are going to be getting some pretty good raises that are probably the most important thing for them to take care of this off-season." A trade is a possible outcome and that's not unfamiliar territory for the 2008 first-round pick. "I understand it's a business. I've been traded twice already so I know what that's like. You learn pretty quick that you're a commodity that can be dealt. I'm just hoping we can figure something out." "The future looks really bright. Most of our best players are under the age of 23, 24, and that's a good thing. As an older guy, you just want to try and guide the way for those guys and let them know that you've got to try and win as soon as you can because before you know it, you'll be my age and you only have so many kicks at the can," said the 32-year-old. "I made the playoffs my first year and it took me 8-9 years just to get back. It's not easy to make the playoffs in this league and for our team to get there, we need everybody." 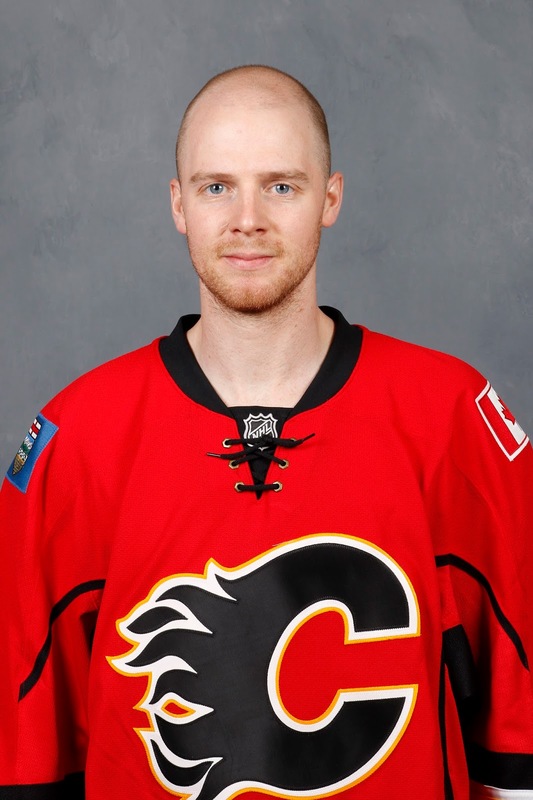 Stajan has two years remaining on a deal that pays him an annual average value of $3.125 million. "I know where I am on the depth chart, I'm not a dummy. I'm getting older and I'm going to be fourth line, on some nights maybe third line. I have to be a good leader and be good in that dressing room and make sure we hold each other accountable." Stajan did play a couple games at wing to end the year. He noted that he came into major junior as a winger and was moved to centre. He's been playing centre since but it is easier to go from centre to wing. That said, he added he hopes to remain at centre. While many players said they had been asked by their respective countries to play in the World Championship, the only one that had accepted -- at least, so far -- was Backlund, who will suit up for Sweden at the event, which takes place next month in Russia. It's not as long of a layoff as you think as Sweden begins its camp next week. He added that one of the pre-tournament games is in his hometown of Vasteras and that he was "pretty pumped" about that. 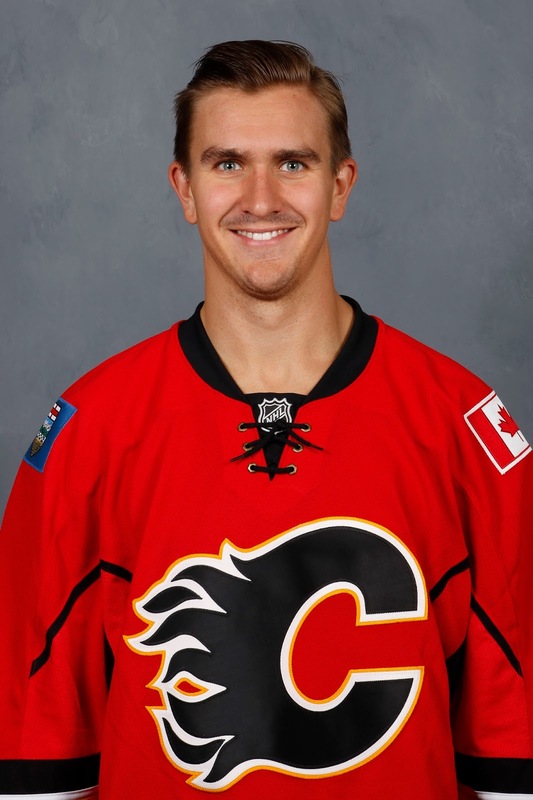 As for the World Cup in September, Backlund was not one of the first 16 named to Team Sweden but he remains hopeful he will make the 23-man roster, which must be announced by June 1. After the season finale in Minnesota, Backlund met with coach Rikard Gronborg and had a chat with him. "He wanted to talk to me and show interest. That's where we're at. They can't promise me a spot or say anything. There's still World Championships to be played and the NHL playoffs. We'll see what happens. It would be a dream come true to play for my country on the biggest stage so I'm hoping that what I did this year would be good enough and I'm going to try to do all that I can to help my country to win the gold (at the Worlds) and for myself, to put myself in a good spot." The more players we talk to, the growing list of polite declines, the more I like MY chances of playing at next month's World Championships. "The one good thing that will come out of this is you want take this for granted, getting into the playoffs. It's a hard thing to do year after year. The really good teams, they get in. They find a way to get in every year. We've got to find a way to get up there and be in that conversation as well." He was also asked what this year's team lacked compared to 2015-16. "Last year, all year, we had more of a swagger, more confidence. We were able to have that push that we didn't have this year. With all the comeback wins and getting those extra points, that was huge." "I haven't contemplated anything on coaching but having said that, we will all be evaluated when you've had the season we've had, starting with myself," said Treliving. Hartley has one year remaining on his deal. "With the coaching staff, we'll sit with them, get their thoughts. As we started to do today with the players. You don't have the season we've had and not be evaluated." "Getting these last 20 games at centre, it made me feel comfortable playing in this league at centre and I would expect to start next season at centre." He said it took some adjusting. "It's definitely different. When you're switching from wing to centre, there's a lot more responsibility in the defensive zone at centre." Frequently playing with different players also made it more difficult. "That was one of the biggest challenges. Everyone on this team are great players but when you can play with the same guys night in and night out, it makes it easier when you do have that chemistry with your linemates." Hiller, who will not be back next season, was asked about the team's goaltending struggles in 2016-17. "I don't think goaltending was terrible here. It was rough early, we gave up a lot. you see so many high quality scoring chances against you and then you lose and after that it's hard to have confidence." While he remains hopeful of being back in the NHL, he didn't sound very optimistic as might be expected after a season in which the 34-year-old recorded the worst save percentage in the NHL in a decade. 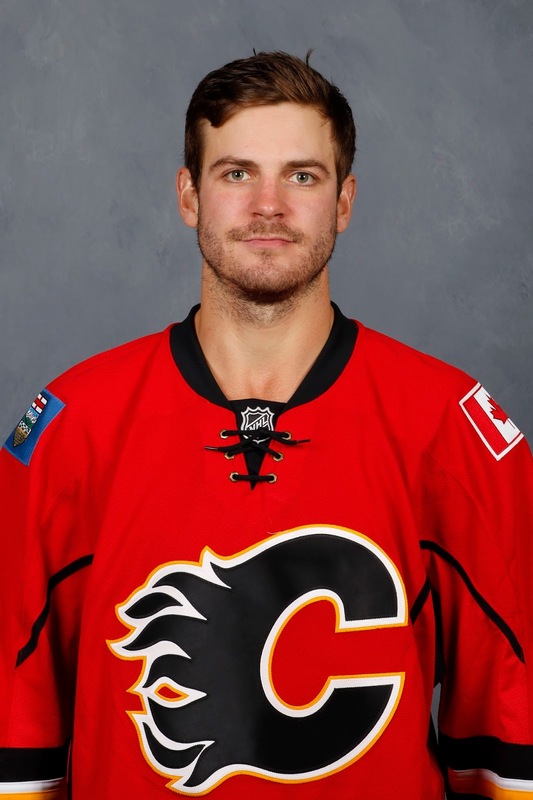 READ: My autopsy of a historically dreaful year between the pipes for the Flames. "It definitely would be my goal but I also have to be realistic enough. 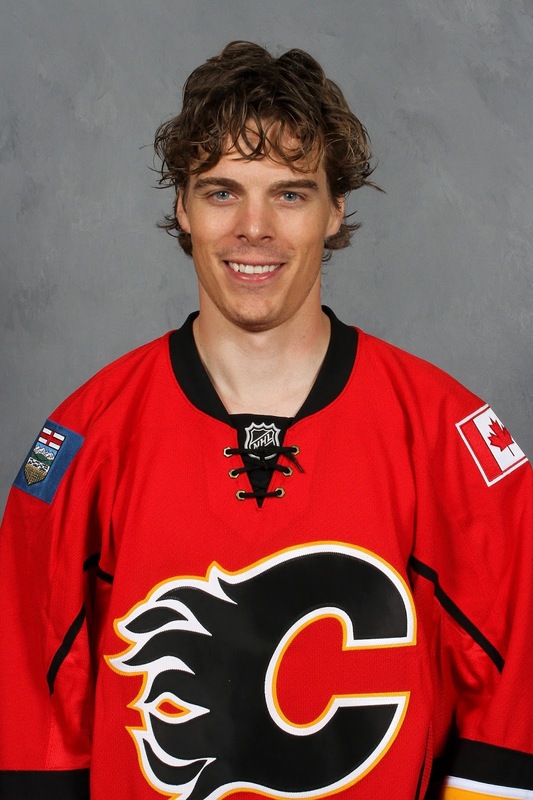 I don't think there are a whole lot of jobs open and there are are a lot of guys looking so I'm definitely checking all my options right now," said Hiller. "I'm kind of hoping for expansion and a few more jobs opening up but I don't know if it's realistic to find a good solution for next year in the NHL." "We definitely did not have the year we wanted, but there is a really bright future for us with all the young talent here. 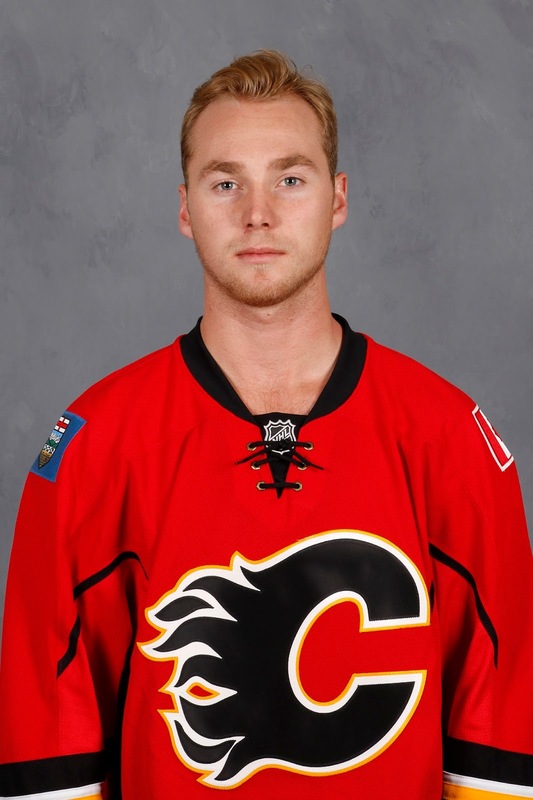 We have all the pieces to be a great hockey team," said Sam Bennett. 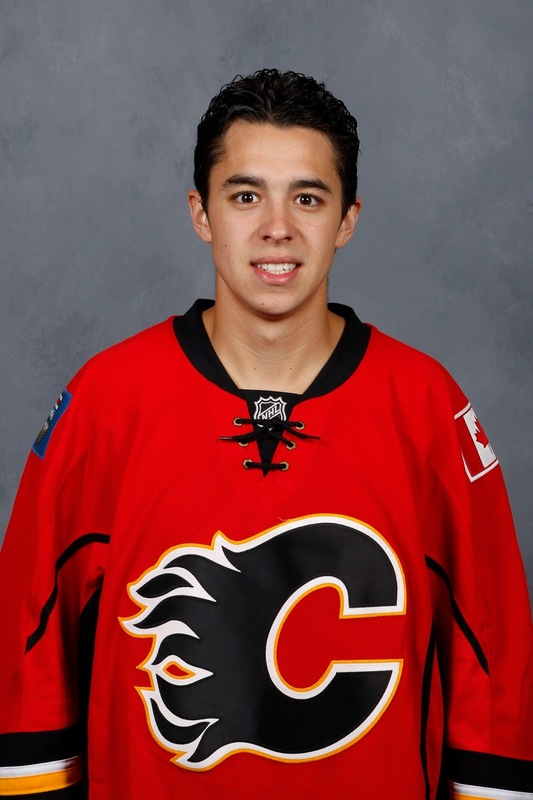 Johnny Gaudreau says the team has good veterans in place to help out. "The young guys in this locker room. 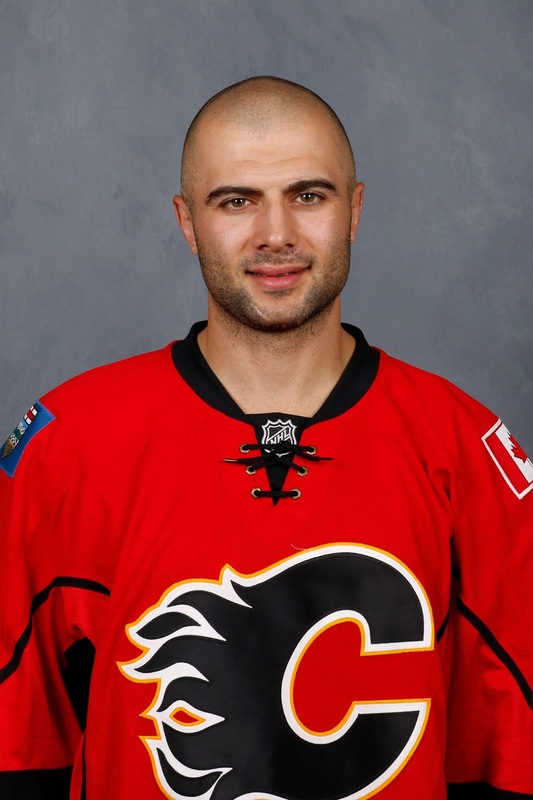 We get to learn from Mark Giordano, Matt Stajan, guys like that and just help us in the long run and in the future,' he said. "We have a ton of young guys on our team that will probably be playing on our team next year so we learn from this season, learn from the leaders in this locker room and try to get better every single season." 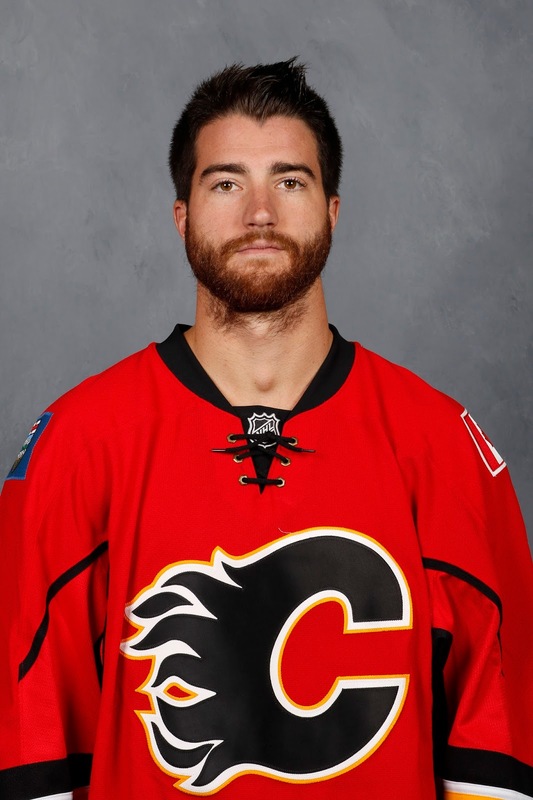 While a bit older, TJ Brodie is just getting going also and can be included as part of the young core. "We've got a lot of young talent and skilled guys. Last year, Johnny, Mony, those guys are the reason we made the playoffs. Going forward, each year, they're getting better and the young guys coming in like Benny, they're the same. If guys can keep going on an upwards trajectory, I think it's good for the team." Similar optimism came from Sean Monahan. "I'm confident about this team. It's a team going in the right direction," said Monahan. "We have some pieces here, especially myself, I need to step up and be a lot better next year and once we get that drive back in this team and we have to come to camp next year with it, we're going to be a successful team." "I have to be realistic about the NHL," he said when asked what his plans are for the future. "I haven't played a lot." "I really appreciated the time. I really enjoyed my time (in Calgary). It was a great six weeks for me to be in this organization and in this city," he said. "Different things you can look at it. We pretty much did the same thing all year," said Brodie, when asked about how to fix the broken PK. He also acknowledged the team took too many penalties. "We went from being the least penalized team to I'm not sure where we finished," he said (the answer is tied for fifth). "We definitely took a lot more penalties after February. The more you kill, the more tired guys get and it's a domino effect and down the stretch, that definitely hurt us." Calgary was shorthanded 186 times in 2014-15, which was lowest in the league. They were forced to kill off 233 penalties this season. Do to his string of injuries starting late last season, Bouma was asked if he would consider changing his style of play to put himself at less risk. "No," he responded bluntly. "That's why I'm in the league. It's because I play the way I do. I'm not going to change the way I play. It's a tough way to play but I've been lucky for most of my career, not having any injuries but this year was definitely a tough year." Suffering a major injury with his broken leg in game three was a sign of things to come. 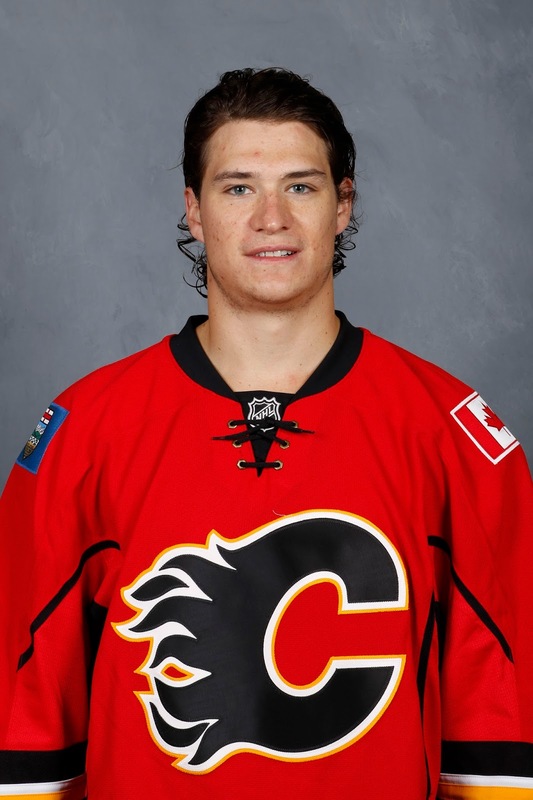 "It's not the ideal start to the year to get injured in the third game of the season," said Bouma, who missed two-and-half months. "I felt good when I came back too, but nothing really clicked this year for me personally and it was unfortunate and disappointing." He looks forward to next season. "Eager to get back at it. This year has been frustrating with all the injuries. I'm ready to start over, start fresh." "There's three ways to improve. Bring in someone in from the outside. Potentially improve by eliminating someone on the inside, but more often than not, it's internal growth and that was the message we were giving the players today," he said. "Every summer is an important summer, but this is a critical summer for all of our group and for the organization." Treliving did not rule out the potential of using the option available to the team after the playoffs end of buying out a contract. He said the current economics in Calgary and with the team is not a concern to the ownership group in that regard. Grant had a breakout season offensively in the AHL with 27 goals and 45 points in 36 games. While that production didn't translate to the NHL (one assist in 15 games), there is still plenty to like about a guy that is 6-foot-3, won the fastest skater at the AHL all-star game, kills penalties and is accomplished at the face-off dot. "Obviously they have a lot of decisions to make. It's the business of it. But we'll probably have talks in the next little while here and hopefully we can find something that works for both parties," he said. I asked him as someone, who can sign with anyone, how he would look at a team like Calgary that appears set at centre with Monahan, Backlund, Bennett and Stajan. "It's something I've always got to look at. I'm not stupid, and you can see those things. But it was the same kind of thing last year, they had all sorts of guys," he said. "It's not that you're scared of those things but you have to be realistic too. For me, I want to play in the NHL and I want to play and have an opportunity. If it's here and they can do that and make it work for both sides, that would be something I'd like." He admits that where he's at in his career and at his age -- turns 26 on April 20 -- wherever he signs it's going to be a similar battle. Every team's going to have 4-5 guys and at the end of the day, you have to beat those guys out. You have to take jobs and it's something that I think I took strides this year in my own game and hopefully I can do that next year." "It starts with faceoffs. We got killed on penalty killing," said Hartley. "The best way to have a good power play is you win the face-off, you get the set up right away. The penalty killing wins the draw, you throw it back and right there, you have to force the power play team to get a good breakout, to get to your blue-line with the puck," Hartley explained. "If you're good enough to force them to dump it in, then you put them in battle situations. you take away 20 seconds off the scoreboard." It all comes down to winning that first draw. "The biggest point of emphasis that we have to improve on our penalty killing is faceoffs." Nakladal admits that when the 28-year-old Czech signed last summer to come over to North America, he did do so expecting to play in the NHL, not the AHL. "I expected I was going to stay in Calgary full time and I was going to play here," he said. "But it happens, they sent me down at the start of the season. At that time, I wasn't mad or frustrated, I just said to myself to be patient, you never know what happens and after a couple weeks, you could be back." But that's not how it played out. He did get called up at one point but never got into a game, spending all four games as a healthy scratch. "To be honest, around Christmas time, I was feeling frustrated because nothing was happening and I really believed I can play in the NHL." 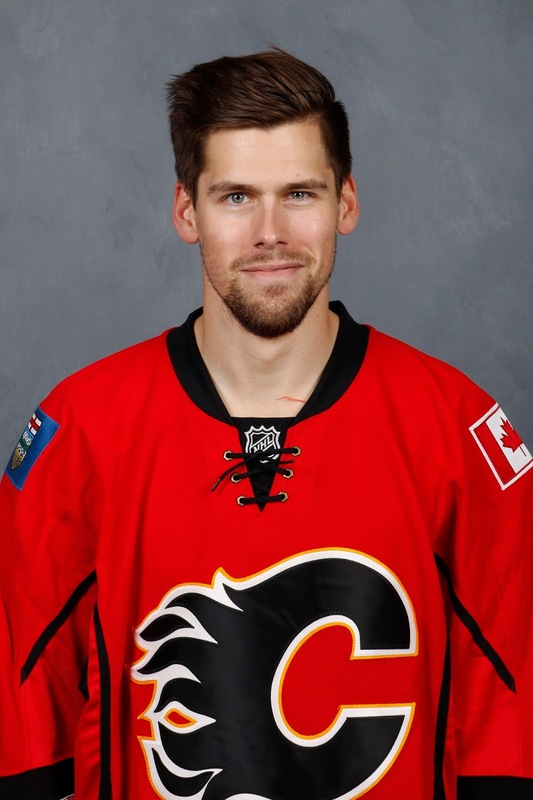 He did make his way to Calgary finally and played the final couple months with the Flames. "I don't like to say something about me but I hope I showed that I can be here full-time and I really enjoyed my time here so I hope I stay here." He says he does see himself as an NHL defenceman though so the UFA will be looking for that kind of opportunity this summer. Treliving was asked about expansion and said that the team has looked at it but is still waiting for the decision before they go too far down a road. "There's been a lot of speculation with it. Right now, it's unfounded until there's expansion. All that stuff is meaningless unless we expand," he said. "If we do expand, we've gotten the 30,000 foot view of what the rules would be so we've dug through those a little bit and looked at ourselves and how it would affect us." When it comes to expansion, goaltenders is the hot topic for the Flames. For one, if expansion does proceed and teams are only allowed to protect one goalie, that could make some goalies available that otherwise may not be. "The natural follow-up question is who has two goaltenders and how quickly do they want to get rid of them," said Treliving, with a smile. "We've looked at that a little bit. Not only just at the goaltending position but you start to mock it up a little bit with what your team would look like." If expansion is proceeding for 2017-18, a decision will be made by the end of June. "Once we get a definitive answer on expansion, then we'll switch into phase two and waiting for them to tell us what the rules are and then we'll see if there's a way we might be able to help ourselves." As for the status of goaltending prospect Jon Gillies, who may or may not be exempt depending on one's definition of "pro season" -- he burned year one of his contract without playing a single game last year -- Treliving paused a few seconds before answering, but said, "We have a feeling he'll be exempt... we need a zoom lens on that one but that's our understanding."